Acadian Genealogy Homepage; Wall of Acadian Names at Acadian Memorial Museum in St. Martinville, Louisiana! "The Arrival of the Acadians in Louisiana" by Robert Dafford, measures 12 x 30 feet. Its figures represent actual documented Acadian refugees who arrived in Louisiana from about 1764 to 1788 and who settled in different parts of the state. Some models are direct descendants of the figures they portray. This mural is twinned with one in Nantes, France, also painted by Robert Dafford, which depicts the departure of Louisiana-bound Acadians from the port of Nantes in 1785. In the July - August 1997 issue of the Louisiana Roots, there appeared a reproduction of the impressive Acadian Memorial Commemorative Mural, which will be the main focal of the Acadiana Museum in St. Martinville, Louisiana. The giant painting which was hand-painted, depicts the first Acadian families of Louisiana. In some instances, actual descendants of original settlers posed for the artist, standing-in for their ancestors. St. Martinville has been designated by the Louisiana legislature as the official Home World Memorial for all Acadian refugees. Another great project of the memorial, is the Wall of Names to include over 3,000 names of earliest Acadians to settle in south Louisiana. The related article on this page lists some of these names, in an effort to include as many of the original settlers as possible. 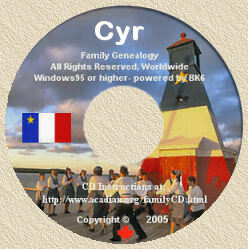 Genealogical information will be available to those who wish to trace Acadian families, or study Acadian culture. The 'arrival of the Acadians in Louisiana' mural, was painted by Robert Dafford. Its is copyrighted by City of St. Martinville, Louisiana and funded by individual donations and memorials and by the National Endowment for the Arts, the Office of Cultural Development in the Department of Culture, Recreation and Tourism, and the Acadiana Arts Council. Preparations are underway (August 1997) for the construction of the Wall of Names. The finished Wall will bear the names of all exiled Acadians known to have gone to Louisiana. A total of some 3,000 names will be engraved in bronze and framed in Dakota Mahogany granite. To lessen the possibility of an Acadian forebear being overlooked, the following names of Acadian heads-of-family who arrived in Louisiana prior to 1785, are published here for review. If you know of a family that is missing, please write the museum director, Jolene Adam, Curator/Director, Acadian Memorial, P.O. Box 379, Department AM, St. Martinville, LA 70582 or Fax to: (318)394-2244. Please note that although the following list does not include passengers on the seven ships that arrived in 1785, they too will appear on the Wall of Names. The individuals listed here, were identified as Acadians of Louisiana in civil and church records. Although only heads-of-families appear below, the Wall of Names will include spouses and dependents. 1. (*) Indicates person attached to exile through marriage or circumstance. 2. Numbers in parenthesis indicate same name, but different person. 3. "dit" names are not included here. 4. The "Vve." probably stands for veuve...or "widow". ROSE LEBLANC: 1765, New Orleans; Louisiana's first Acadian religious. Rose was admitted to the novitiate of the Ursline Order in New Orleans on August 14, 1765. JEAN-BAPTISTE SEMER: 1765, Attakapas; Present in New Orleans on April 30, 1765 for the exchange of Canadian money to local tender. JOSEPH SEMER: 1785, Attakapas; Present in the church at Grand-Pré in 1755 when the proclamation was read which exiled he and his wife, Anne Landry. After 30 years, he was reunited with his son, Jean-Baptiste in Louisiana. MARTIN NAVARRO: 1785, New Orleans; Chief Administrative Officer under Spain. Served as godfather to all Acadian babies born during the trans-Atlantic crossing of seven ships from France, in 1785. OLIVIER TERRIOT: 1785, District of LaFourche; He was a shoemaker in Nantes, France who helped recruit more than 1500 Acadians to go to Louisiana in 1785. GENEVIEVE ROBICHAUD: 1765, Attakapas; Arrived with parents, Marguerite Martin and Rene Robichaud. She married Armand Dugas. MARIE AUCOIN: 1785, District of LaFourche; Marie married Olivier Terriot at St. Martin de Chantenay, France and journeyed with him to Louisiana aboard La Bergere in 1785. ANSELME BLANCHARD: 1767, Ft. San Gabriel; He had become a prominent citizen when asked to supervise the settlement of immigrants from Nantes, France who arrived in 1785. Sponsored by the family of Lina Blanchard Felteman. AMBROISE TERRIOT: 1766, Cabannocé; Terriot was an established resident when he organized a boucherie in 1785 for newly arrived settlers at Manchac, with beef which he procured from Attakapas. JOSEPH GRAVOIS & FAMILY: 1768, Acadian Coast; One of the last arrivals of Acadians in Louisiana. Joseph Gravois and seventeen relatives traveled from St. Pierre Island, arriving on December 11, 1788. CLAUDE MARTIN: 1765, Attakapas; He established a homestead at Pointe de Repose on Bayou Teche and was a trustee of l'Église des Attakapas. Sponsored by the family of Paul S. Martin Sr.
JOSEPH MOULAISON: 1785, District of LaFourche; Arrived aboard the ship L'Amie with his mother, Marie Doucet widow of Pierre Moulaison, and settled near present-day Plattenville. Sponsored by the family of Cecile Moulaison. FIRMIN BREAU: 1766, Attakapas; Breaux Bridge, LA, the "Crawfish" Capitol of the World", is named for the family Firmin Breau established in that area. Sponsored by the City of Breaux Bridge, LA. JEANNE CHAILLOU BOURG: 1785, District of LaFourche; The widow of Jean Bourg, she traveled to Louisiana aboard the ship La Bergère with three sons and a daughter in 1785. Sponsored by the family of Neil Bourque Hebert. MARIE, MARGARITE & ELIZABETH RICHARD: 1785, District of LaFourche; These sisters were deported to Virginia, imprisoned in England, sent to France and finally arrived in Louisiana in 1785 aboard the ship St. Remi. OLIVIER THIBODEAU: 1765, Attakapas; Exiled from his homeland by the British, his opportunity to retaliate came when he fought under General Galvez during the American War for independence. MAGDELAINE BROUSSARD: 1765, Attakapas; The wife of Olivier Thibodeau, she is pictured carrying her child, Marguerite-Anne, baptized at 'l'Église des Attakapas' on May 10, 1765 and buried the next day. Magdelaine's burial on May 17, 1765 is the first recorded burial of an Acadian at Attakapas. PIERRE RICHARD: 1766, Opelousas; Believed to have been a constituent of Beausoleil Broussard, he married Marguerite Dugas. Sponsored by la famille 'Des Richard de Partout Inc.'. JOSEPH BROUSSARD dit BEAUSOLEIL: 1765, Attakapas; Broussard, a resistance leader in post-expulsion Acadia, led a group of refugees from Nova Scotia in 1764 and arrived [in Louisiana] in February 1765. He was named Commandant and sent to settle at Attakapas where he died in September of that year. Sponsored by the family of Jean Camille Broussard. PIERRE PITRE: 1766, Opelousas; Listed in the Opelousas census with a boy and girl tentatively identified as Francois and Francoise Pitre. AUGUSTIN REMI BOUDROT: 1768, Ft. Louis de Natchez; Age 13 and an orphan when he arrived in Louisiana, Boudrot was probably born the year of the exile. He established his family in the Opelousas county. Sponsored by the family of Edgar and Pamela Richard Boudreau. ELIZABETH THIBODEAU BRASSEUR: 1767, Ft. St. Gabriel; The widow of Cosme Brasseux, Elizabeth brought her five daughters and two sons from Maryland in 1767 and settled on Bayou Manchac. JOSEPH LANDRY: 1766, Cabannocé; Landry arrived as a refugee and in 1812 was a member of the Louisiana Senate from the County of Acadia (now St. James and Ascension Parishes). MAGDELAINE ROBICHAUD: 1765, Attakapas; Another daughter of Marguerite Martin and Rene Robichaud, she married Charles Hebert. LOUIS PIERRE ARSENEAU: 1765, Cabannocé; Arseneau signed the 'Dautenve Pact' in New Orleans on April 4, 1765. He later moved to the Attakapas county. MARGUERITE MARTIN: 1765, Attakapas; Thought to be the centurion grandmother referred to by Judge Felix Voorhies in the book 'Acadian Reminiscences'. Sponsored by Dolores Guidry Respess. OLIVIER BENOIT: 1770, Iberville; Arrived from Maryland via an ill-wind that first blew his ship La Brigire to Texas. His group became the first "Texas Cajuns". SALVADOR, JEAN & MARIN MOUTON: circa 1764, Cabannocé; Arrived with a group of twenty, believed to be earliest refugees from Acadia in Louisiana, Jean is recognized as the founder of Lafayette, Louisiana. Marin, it is said, wore a homemade 'capuchon' and his descendants became known as "Capuchon Moutons" to distinguish them from descendants of Jean Mouton, who wore a more traditional 'chapeau'. FR. JEAN FRANCOIS DE CIVREY: 1765, Attakapas; A priest of the Capuchin Order, he christened the Attakapas post "nouvelle Acadie". Sponsored by Friends of St. Martin de Tours Church Square Inc.
PIERRE GUIDRY: 1768, Ft. St. Louis de Natchez; Moved to Attakapas where he was known as the 'patriarch of Grande Pointe', an area later named Cecilia, Louisiana. CHARLES DUGAS dit CHARLIT: 1766, Attakapas; Married to Marguerite Broussard. He is believed to have arrived in Louisiana with his father-in-law, Beausoleil Broussard. Sponsored by Christy Dugas Maraist. JOSEPH SONNIER: 1766, Opelousas; Arrived in Louisiana as a young boy, which is now depicted on the mural. He married Marie Thibodeau. Sponsored by the Sonnier Family. ALEXIS & HONORE BREAU: 1768, Ft. St. Louis de Natchez; Brothers who came with their families from Maryland, to reunite with relatives and who, after much dissension, settled in Cabannocé. AMAND THIBODEAU: 1765, New Orleans; In St. Louis Cathedral records, he married Gertrude Bourg on 27 February 1765. Settled in Attakapas to raise cattle. Sponsored by J.P. Thibodeau. The above noted is a re-print (with thanks) of article which appeared in the Louisiana Roots Newspaper. There is no charge for this excellent publication and to receive your complimentary subscription, you need only send your name and address to their Subscription Department, P.O. Box 383, Marksville, LA 71351. Back issues are also available for $5.00 each. Their e-mail address is: [email protected] . Be sure to visit the official Acadian Memorial web site.